This is a one day conversation on how participation, builds transparency to deliver efficiency. We are a community of doers and decision-makers talking about what works—and what doesn't. Whether you are a developer, journalist, activist, organizer or government employee, you should attend. 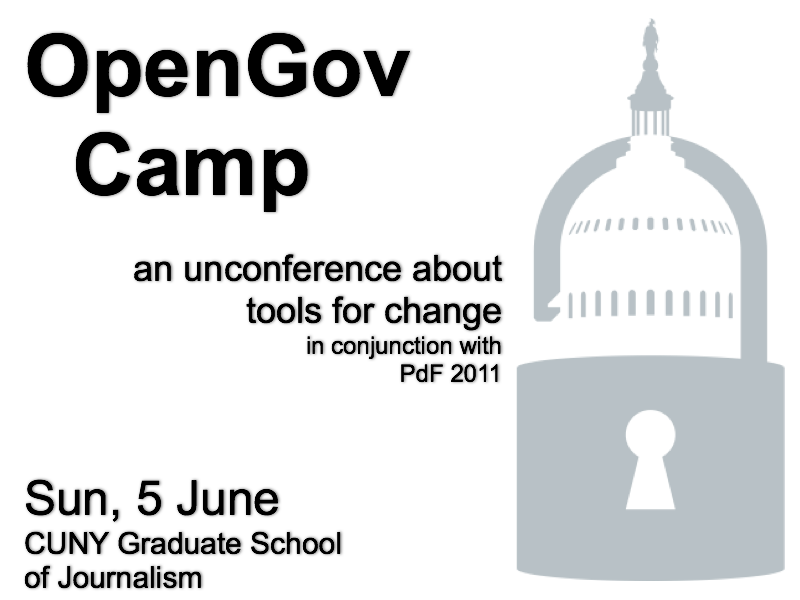 OpenGov is hosted in conjunction with Personal Democracy Forum (PdF) 2011, the world’s leading conference exploring and analyzing technology's impact on politics and government. The theme this year, at the eighth annual gathering, will be Agents of Change. This is an gathering born from the desire to share and learn in an open environment. It is an event with discussions, demos, and interaction from attendees. Anyone with something to contribute or with the desire to learn are welcome and encuraged. When you come, be prepared to share. When you leave, you’ll leave with actionable strategies for building efficient and engaging social campaigns and technical tools. OpenGov Camp is the third in a series of annual events the Open NY Forum has hosted creating a positive space for government workers, technologists, entrepreneurs, and citizens to engage and learn from each other. This year, we broaden our relationship, with three internationally known organizations, Personal Democracy Forum, Reinvent Albany and Digital Democracy. You should! OpenGov is open to anyone who is excited about transparency and technology in government. New technology, mobile and society is a common interest of many OpenGov attendees, but what brings us together is where that theme crosses into other areas - not only technology and development, but entrepreneurship, design, art, engineering, socializing, and organizing. All of you - the passionate people who are driving innovation - are part of the culture that drives OpenGov and we can't wait to see you! 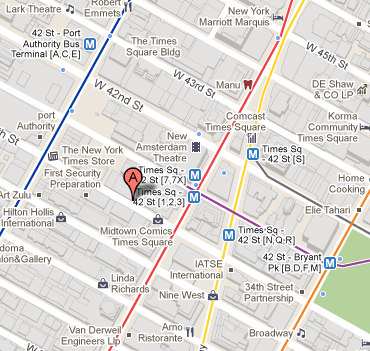 This theme was originally developed by BarCamp NYC.